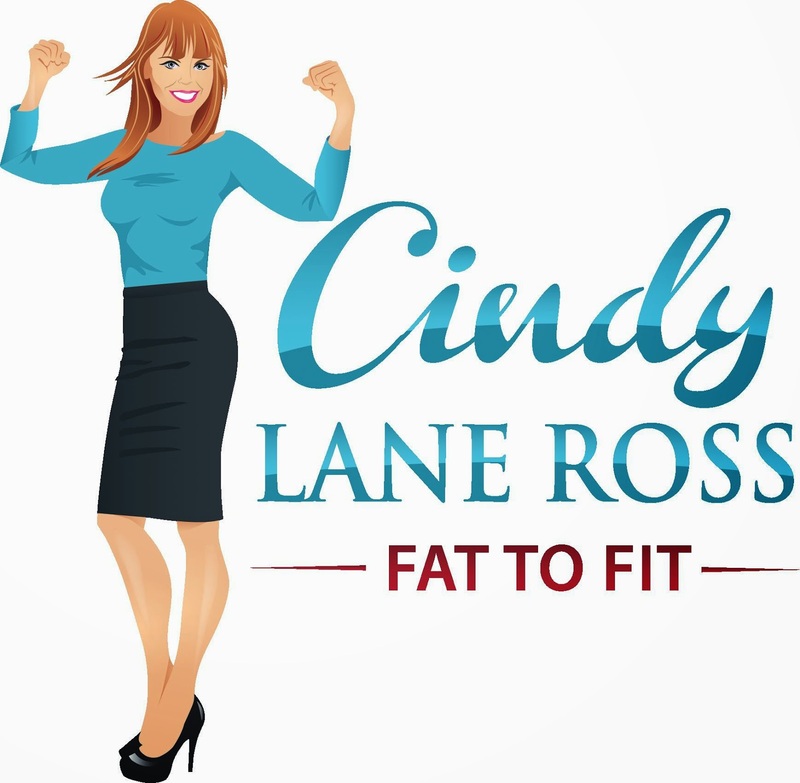 FAT TO FIT with Cindy Lane Ross: Top 10 Fitness Tips! 1. Decide to make a lifestyle change- Do not look for a quick fix, when becoming healthier it needs to be a slow progression that is implemented into your daily routine for long term results. 2. Find something or someone to be accountable to- If you are having trouble reaching your fitness goals and cannot seem to find the motivation to get back on track then you need to find a program that gives you the reason to eat better and get moving. This accountability can come from a gym membership, a personal trainer, or a group fitness program such as an outdoor boot camp. 3. Start Reading Labels- First you need to learn all you can about the right nutrition, there is an abundance of information online and in magazines. Learn how many calories you need to consume and start reading labels. Check the ingredients list and serving sizes. Portion control is everything! 4. Buy A Scale- This is my biggest weight loss tool- Most people who battle their weight find stepping onto a scale frightening, but the scale is your FRIEND! I tell my clients to weigh first thing every morning. It is the tool to keep you on track. When you have had too much sodium in your diet, your weight will fluctuate a few pounds. Too much sodium is a culprit and can sabotage your weight loss goals by making you retain fluid. 5. Change your mental attitude- When you start giving your body a make-over by incorporating a change in diet and exercise, you also have to change your mind set. People with weight issues must change their perception of food. You must think of FOOD AS FUEL, only eat to feed the body the nutrients and vitamins it needs. I struggled with my weight for many years because of my addiction to food, therefore I had to change my way of thinking. 6. Be Strong- There are going to be enablers around you 24/7 trying to wreck your healthy eating habits and your workouts! "Just take a bite, it won't hurt you!" YES IT WILL! or "Skip a workout and lets go grab dinner." THERE WILL ALWAYS BE DINNER AFTER A WORKOUT! Holiday times are the worse, misery loves company and if everyone is eating bad foods and feeling guilty they want you to do the same. You have to refrain and have self-control to make the right choices during these times. 7. Set realistic goals- You did not put the weight on overnight, so don't expect it to come off overnight! Slow and steady wins the race. Make small goals every week and work hard to achieve them. 8. Journal- There are many online nutrition journals where you can log your food daily or simply take a notebook and keep a daily log. There are even apps on the smart phones for your convenience now. I think you make better choices when you actually write down everything you eat and drink. I feel most people don't realize how quickly the calories add up. This helps you become more aware of what you are putting into your mouth. 9. Get moving- You have to have a good exercise program that is going to keep your heart rate elevated the duration of your workout! My workouts consist 30-45 minutes a day 6-7 times a week of cardio and exercises that consist of using my own body weight or up to 5 lbs dumbbells. With having rheumatoid arthritis, the cardio helps keep my joints nice and loose through the day and the light weight exercise keep my bones strong and helps with building muscle tone. 10. Attitude!- If you don't have this one down, you will not reach any goal that you set for yourself! Your attitude will MAKE OR BREAK YOU! A positive attitude will take you further than you can imagine! Put a SMILE on your face, clean out the pantry, lace up those shoes, and GET MOVING!